Villanova University is a highly-selective, private research university with an acceptance rate of 29%. To apply, students can use the Common Application. Villanova has an Early Decision program that can improve admission chances for students who are sure the university is their top choice school. Founded in 1842, and located just outside Philadelphia, Villanova is the oldest and largest Catholic university in Pennsylvania. Villanova is well known for its strong academic and athletic programs. The university has a chapter of Phi Beta Kappa, a recognition of its strengths in the liberal arts and sciences. Academics are supported by a 12-to-1 student/faculty ratio. In athletics, the Villanova Wildcats compete in the Division I Big East Conference (football competes in the Division I-AA Atlantic 10 Conference). Villanova students also host the Pennsylvania Special Olympics on their campus. Considering applying to Villanova? Here are the admissions statistics you should know, including average SAT/ACT scores and GPAs of admitted students. During the 2017-18 admissions cycle, Villanova University had an acceptance rate of 29%. This means that for every 100 students who applied, 29 were admitted, making Villanova's admissions process highly competitive. Villanova requires that all applicants submit either SAT or ACT scores. During the 2017-18 admissions cycle, 52% of admitted students submitted SAT scores. This admissions data tells us that most of Villanova's admitted students fall within the top 20% nationally on the SAT. For the evidence-based reading and writing section, 50% of students admitted to Villanova University scored between 640 and 710, while 25% scored below 640 and 25% scored above 710. On the math section, 50% of admitted students scored between 660 and 760, while 25% scored below 660 and 25% scored above 760. Applicants with a composite SAT score of 1470 or higher will have particularly competitive chances at Villanova. Villanova does not require the SAT writing section. Note that Villanova participates in the scorechoice program, which means that the admissions office will consider your highest score from each individual section across all SAT test dates. SAT Subject tests are not required at Villanova. Villanova requires that all applicants submit either SAT or ACT scores. During the 2017-18 admissions cycle, 48% of admitted students submitted ACT scores. This admissions data tells us that most of Villanova's admitted students fall within the top 7% nationally on the ACT. 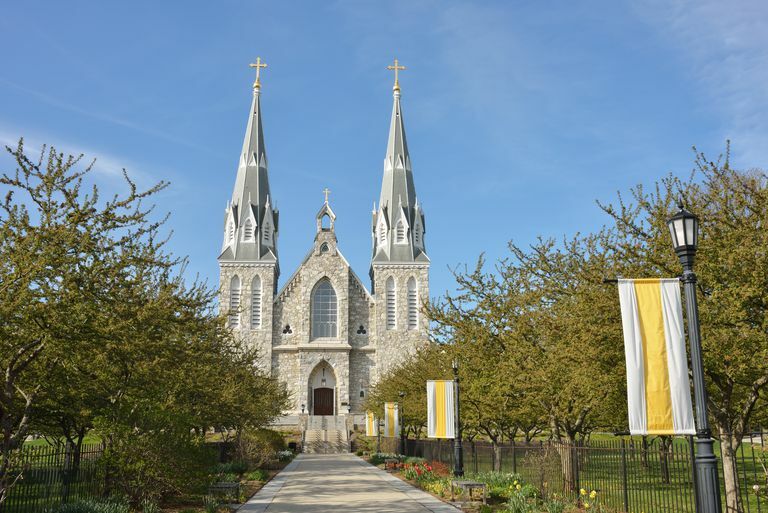 The middle 50% of students admitted to Villanova received a composite ACT score between 30 and 33, while 25% scored above 33 and 25% scored below 30. Unlike many universities, Villanova superscores ACT results; your highest subscores from multiple ACT sittings will be considered. Villanova does not require the ACT writing section. In 2018, the middle 50% of Villanova University's incoming class had weighted high school GPAs between 3.86 and 4.19. 25% had a GPA above 4.19 and 25% had a GPA below 3.86. These results suggest that most successful applicants to Villanova University have primarily A and B grades. Villanova University Applicants' Self-Reported GPA/SAT/ACT Graph. Data courtesy of Cappex. The admissions data in the graph is self-reported by applicants to Villanova University. GPAs are unweighted. Find out how you compare to accepted students, see the real-time graph, and calculate your chances of getting in with a free Cappex account. Villanova University, which accepts just over one-fourth of applicants, has a selective admissions process. Successful applicants will need grades and standardized test scores that are significantly above average. In the graph above, the blue and green dots represent accepted students. You can see that the majority of accepted students reported high school GPAs of 3.5 or higher, combined SAT scores of about 1250 or higher (ERW+M), and ACT composite scores of 27 or higher. The data further suggests that you can be a straight "A" student with high SAT scores and still receive a rejection letter from Villanova if other areas of your application fail to impress. This is because Villanova, like most of the country's highly selective private colleges, has holistic admissions. The Villanova admissions folks take into consideration the rigor of your high school courses, your application essay, extracurricular activities, and letters of recommendation. The Villanova application also includes a supplemental essay which allows the admissions committee to gain a better understanding of each applicant. 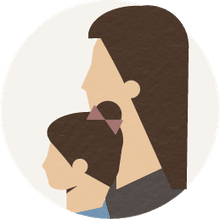 All admissions data has been sourced from the National Center for Education Statistics and Villanova University Undergraduate Admissions Office. How Competitive Is Johns Hopkins University's Admissions Process? How Competitive Is University of California, Santa Barbara's Admissions Process? How Competitive Is UC Santa Cruz's Admissions Process? How Competitive Is Bates College's Admissions Process?